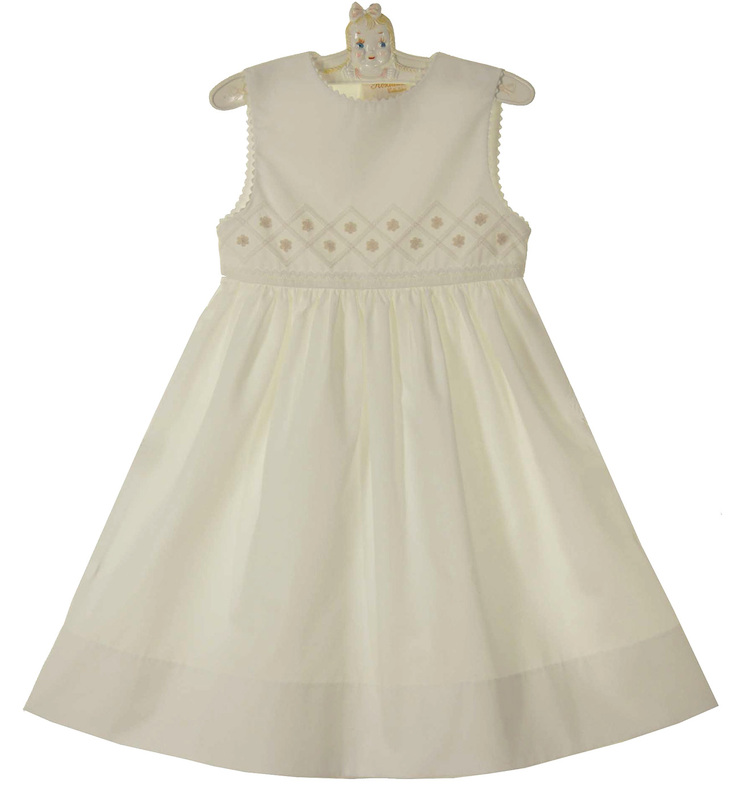 This beautiful ivory cotton blend batiste dress is made by Rosalina, a leading designer of quality childrens' smocked apparel. 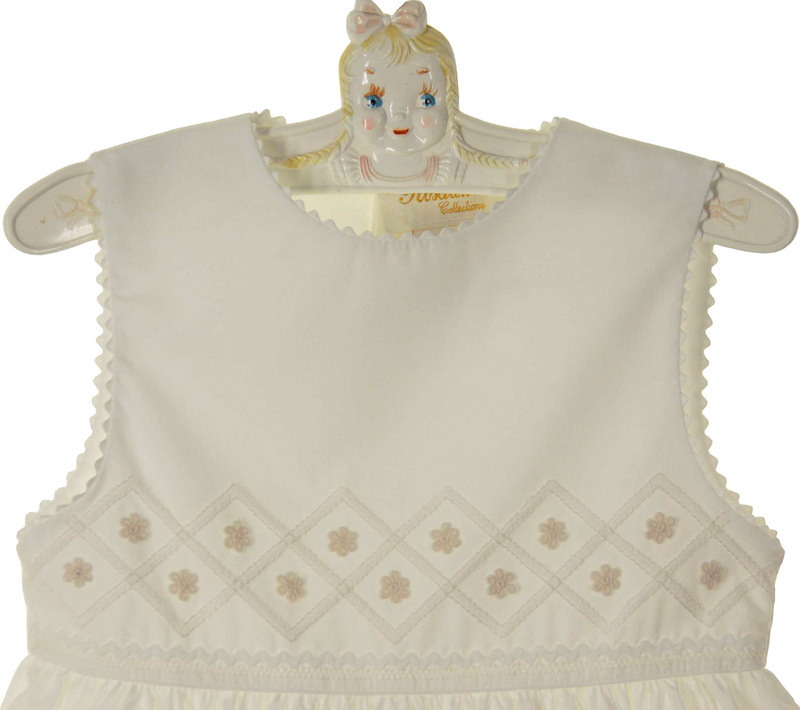 It features ivory embroidered flowers at the waist with rickrack trim. It has a full gathered skirt and a deep 4" hem, a sign of quality construction in children's garments. It has a 3 button back closure. A perfect baptism or dedication dress for your little girl. It's also beautiful for formal or beach portraits and weddings, too!